NVMe is an industry standard protocol designed specifically for memory-based storage like flash drives. It unleashes flash arrays from the chains of SCSI that hold it back. 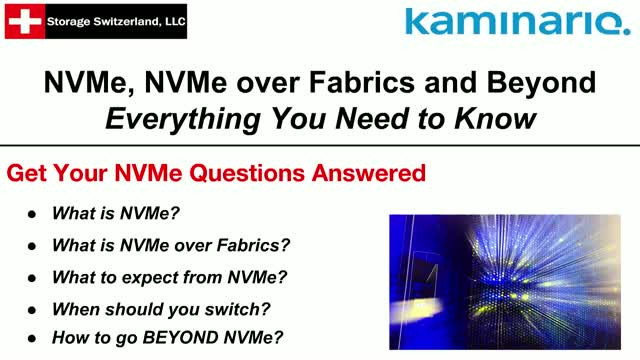 Register for our live webinar and learn what NVMe and NVMe over Fabrics are, what the advantage of NVMe is over traditional SCSI protocols and how to go beyond the NVMe basics to fully tap into the potential of memory-based storage.